The Coachella Valley is busy with numerous agriculture and light industrial projects rising from the desert. Our client is leading the development of the largest greenhouse and related services business park in the valley. When we first met with them earlier this year they already had a builder for the first couple of greenhouses, and we were selected for work on the second phase of development. 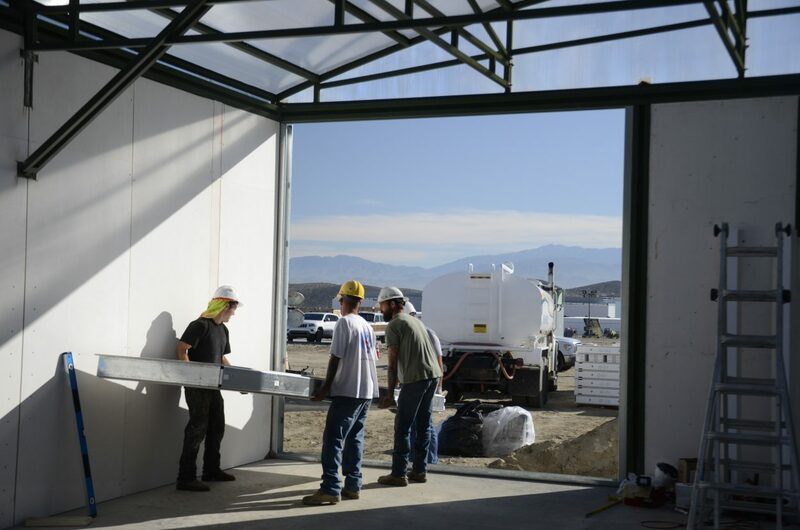 When things fell through with the builder of the first three greenhouses, we jumped in, modified the plans and engineered our panels to fit within the prebuilt steel structure. Normally when we build our C3 Engineered Wall Systems everything is designed and engineered together to ensure appropriate structure, aesthetics and building envelope performance. With these greenhouses, we were unable to design the panel’s and structure together because the structure was already in place. Rather our engineering team worked with the existing plans to adjust our solutions to the existing building skeleton. 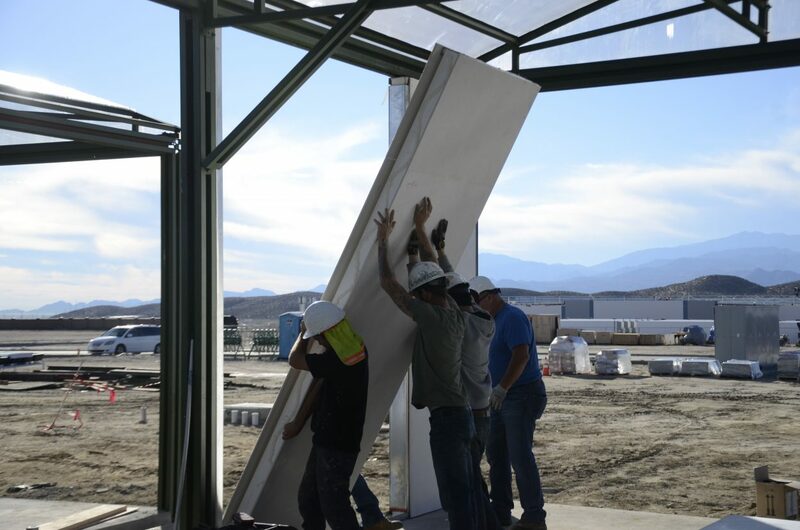 Our engineering team was able to rapidly integrate the C3 Engineered Wall System into the existing building structure, and we were able to manufacture and deliver a high-performance building envelope with cost certainty within a short time frame. Reduced environmental impact both through environmentally friendly products and reduced waste from pre-fabricated solutions. Precision control over internal temperature and moisture. No mold, mildew, or harmful off-gassing. Stay up-to-date on industry news and latest MGO innovations. No spam, just the important stuff. We believe there is, truly, a better way to build. © Copyright 2019 MgO Systems Inc.